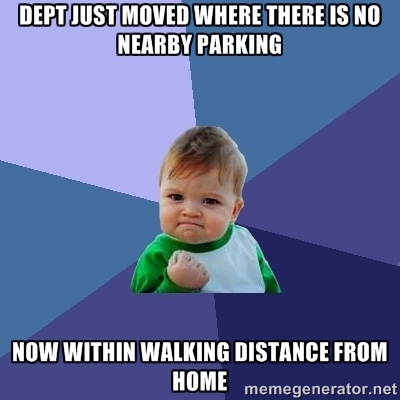 cgMemes: They moved everyone to a facility with next to zero unassigned parking, but it's closer to my house now! They moved everyone to a facility with next to zero unassigned parking, but it's closer to my house now! Yeah, I made an honest mistake at work today..